Rubrics are useful tools for both teachers and students. They help define quality on a sliding scale offering the ability to notice strengths along with potential next steps for writers. The rubrics below have been recently revised to take into account the new BC Ministry proficiency scale language (emerging, developing, proficient, extending). As well, the targets from the, ’emerging’ column have been removed. 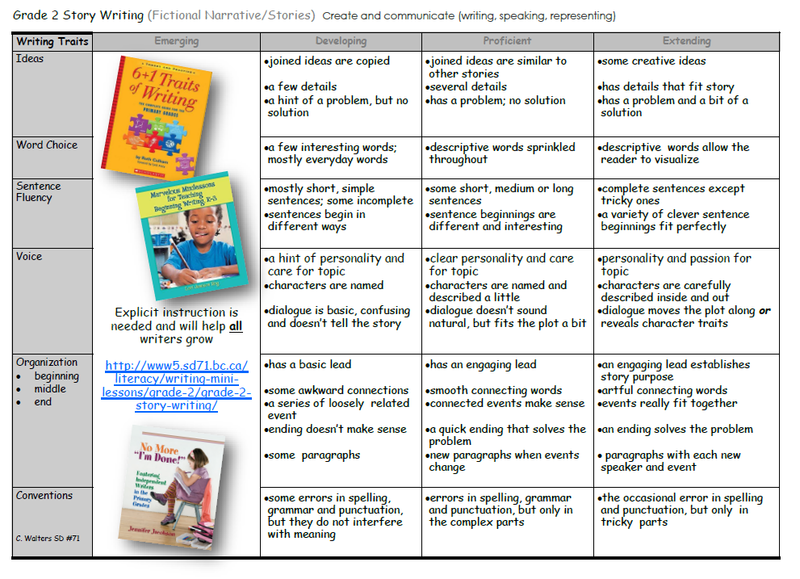 In their place are suggestions for explicit instruction that our vulnerable writers need, yet all benefit. Why name what we’re not aiming for?